Appearance of Captain Virat Kohli on the cover page of 'Wisden Cricketers' Almanack is a huge achievement for Indian cricket. The picture was printed on the cover page of this magazine in which Indian skipper seen playing reverse sweep. In December 2016, Virat had scored two hundreds in the 4-0 Test series against England, including his career best 235, which he had scored in the fourth Test played in Mumbai. Wisden put that photo of the Kohli with reverse sweep on cover page. Wisden's editor Laureus Booth praised Virat, saying that in recent years this Indian captain has brought revolutionary changes in cricket. Captain Kohli, who got place on the cover page of Wisden, is the second Indian after Master Blaster Sachin Tendulkar. Earlier in 2014, the picture of Sachin Tendulkar was published on the cover page of Wisden. On the cover page of this magazine, a picture of Sachin Tendulkar's last innings was printed in which he was seen accepting the reception of the audience on the Wankhede ground. 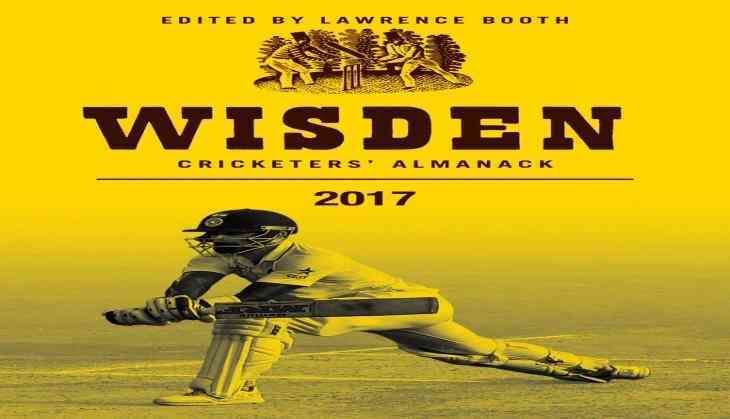 Wisden Cricketers is a reference book from Almanack Cricket, which is published every year in the United Kingdom. It is considered to be the world's most famous sports reference book.